The following terms are used throughout the documentation. The computer, typically a workstation, from which the Secure Shell connection is initiated. A public-key pair used to identify a Secure Shell server. The private key file is accessible only to the server. The public key file is distributed to users connecting to the server. Refers to the other party of the connection, client computer or server computer, depending on the viewpoint. A client-side application that uses the Secure Shell version 2 protocol, for example ssh2, sftp2 or scp2 of SSH Tectia Client and Server, or SSH Tectia Connector. A server-side application that uses the Secure Shell version 2 protocol. The computer, typically a server, on which the Secure Shell service is running and to which the Secure Shell client is connected. A server-side application that provides a secure file transfer service as a subsystem of the Secure Shell server. A software component installed on a workstation. SSH Tectia Client provides secure interactive file transfer and terminal client functionality for remote users and system administrators to access and manage servers running SSH Tectia Server or other applications using the Secure Shell protocol. It also supports (non-transparent) static and dynamic tunneling of TCP-based applications. With the optional EFT Expansion Pack, SSH Tectia Client can be expanded to perform enhanced file transfer (EFT) operations that require higher encryption performance, APIs for application-level integration, and additional reliability features such as checkpoint-restart. In addition, SSH Tectia Client with EFT Expansion Pack incorporates an FTP-SFTP Conversion Module to facilitate secure replacement of FTP without the need to modify file transfer scripts or applications. The SSH Tectia client/server solution consists of three products, SSH Tectia Server, SSH Tectia Client, and SSH Tectia Connector. SSH Tectia Connector is a transparent end-user desktop client that provides dynamic tunneling of client/server connections without the need to re-configure the tunneled applications. 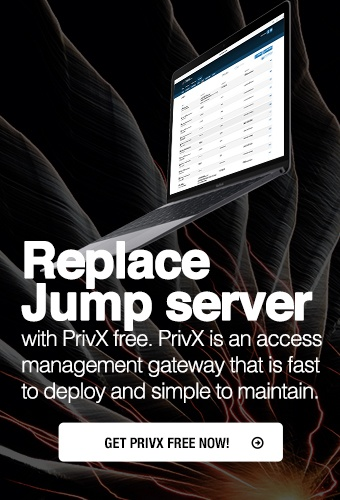 It enables corporate end users to connect to business applications securely and automatically when an IP connection is established, while being fully transparent to the user. SSH Tectia Connector connects to SSH Tectia Server with Tunneling Expansion Pack and SSH Tectia Server for IBM z/OS. SSH Tectia Server is a server-side component for SSH Tectia Connector and Client. There are four separate versions of the product available: SSH Tectia Server for secure system administration, SSH Tectia Server with EFT Expansion Pack for secure file transfer, SSH Tectia Server with Tunneling Expansion Pack for secure application connectivity, and SSH Tectia Server for IBM z/OS for IBM mainframes. The basic SSH Tectia Server is available for Linux, Unix, and Windows platforms. SSH Tectia Server with EFT Expansion Pack is available for Linux, Unix, and Windows platforms. In addition to allowing normal Secure Shell connections, it supports the enhanced file transfer (EFT) features provided by SSH Tectia Client with EFT Expansion Pack. SSH Tectia Server with Tunneling Expansion Pack is available for Linux, Unix, and Windows platforms. In addition to allowing normal Secure Shell connections, it supports the enhanced file transfer (EFT) features when used with SSH Tectia Client with EFT Expansion Pack and transparent application tunneling when used with SSH Tectia Connector. SSH Tectia Server for IBM z/OS provides normal Secure Shell connections and supports the enhanced file transfer (EFT) features when used with SSH Tectia Client with EFT Expansion Pack and transparent application tunneling when used with SSH Tectia Connector. TCP application secured by a Secure Shell connection. A public-key pair used to identify a Secure Shell user. The private key file is accessible only to the user. The public key file is copied to the servers the user wants to connect to.